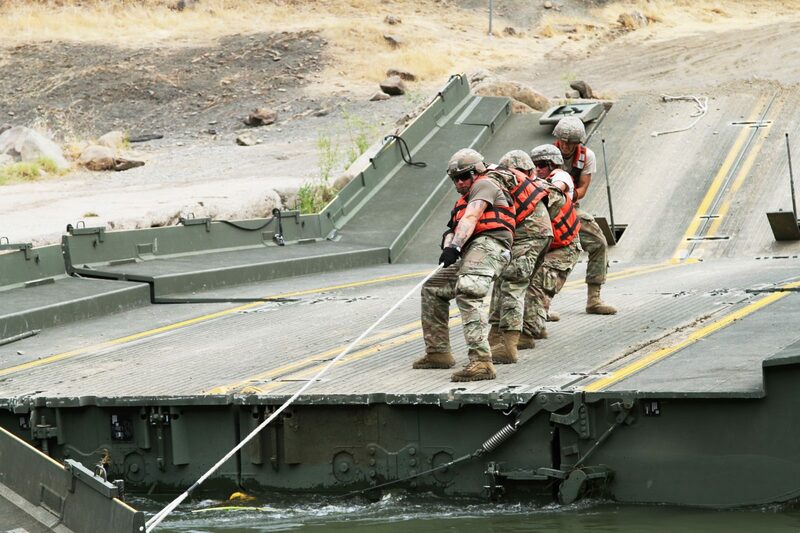 Check out this photo montage over at Wired with how the California National Guard is able to build a floating bridge. 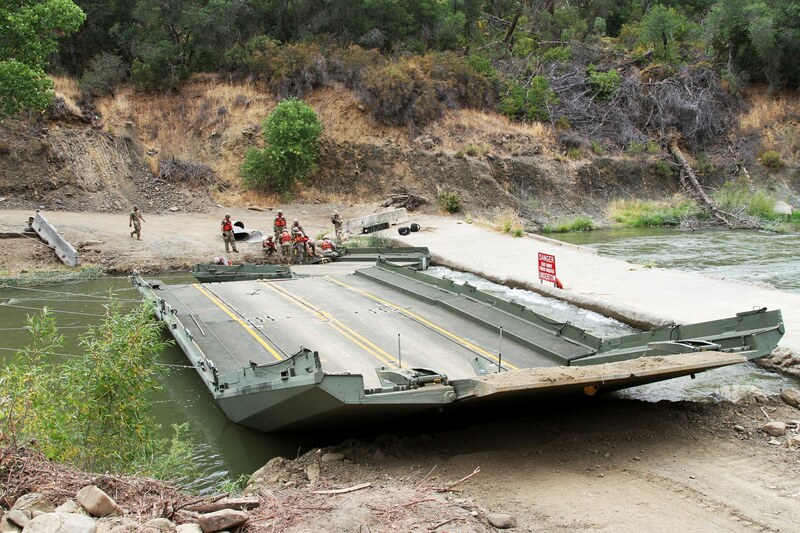 The bridge is built by General Dynamics European Land Systems, and has been in military and private applications when traditional engineering is not available. A ribbon bridge as these are known, can support 70 tons or more, enough to carry and M1 Abrams tank. Read it all at WIRED.